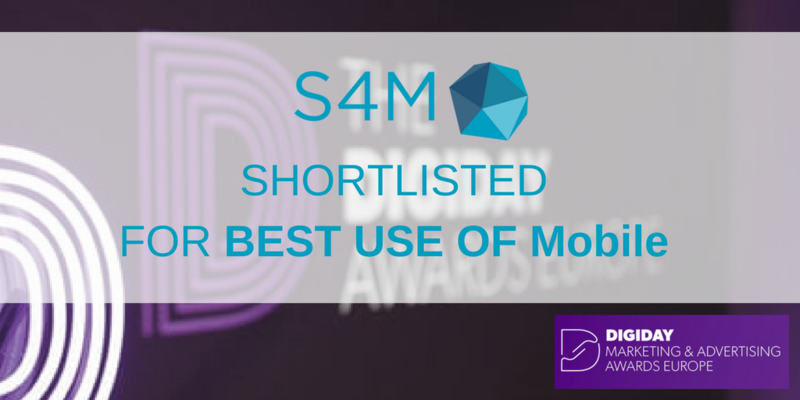 The shortlist for this year’s Digiday Marketing and Advertising Awards Europe has been released and we are proud to share that S4M has been nominated in the category Best Use of Mobile! The Digiday Marketing and Advertising Awards Europe recognizes companies working to modernize European advertising, marketing and public relations. The winners will be announced at the awards gala on November 1st 2018 at Canary Wharf’s East Wintergarden in London. Nominated for our Pernod Ricard drive-to-store campaign S4M is up against Rakuten Viber. Our campaign set out to promote two luxury scotch whiskies among travellers to drive them into duty free stores before take-off. Best of luck and congratulations to all the nominees! Head here for the complete list of shortlisted campaigns and stay tuned for the results!